Today we’re excited to announce that we’ve officially launched our all-new “Quick Quotes” tool. This not only is designed to help you quickly and accurately receive quotes for your health insurance, but publishers are also be able to embed it on their sites to help their readers. 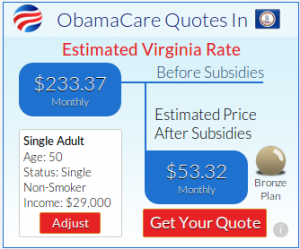 PRLog – Dec. 10, 2013 – Today, the Health Care Marketplace, launches “Quick Quotes,” an all-new price estimation tool that helps consumers quickly and acurately view the cost of their health insurance as part of the Affordable Care Act. Publishers can also embed the tool on their site to help engage their readers and provide accurate information. This unique tool averages official pricing information from CMS.gov Market Data and HHS Federal Poverty Level to determine the approximate estimated average price a user would pay. Users select a profile and a plan level – bronze, silver, gold – that most closely matches their health care needs and then the tool calculates what price they should expect to pay in their specific state including their subsidy, if they qualify. HealthcareMarketplace.com developed the Quick Quotes tool exclusively with Verticalize.net and it’s part of a series of new features added to the site since its launch in October, such as call center support and auto-insurance options. HealthcareMarketplace.com is working exclusively with Verticalize.net, a company with proprietary advertising technology specifically designed around the healthcare industry with a focus on the Affordable Care Act. The company works with insurance providers, brokers and other companies within the industry to provide as large a pool of policy and pricing information as possible. On October 1st the company had more than 1 million unique visitors across their network and consistently have more overall exposure and organic presence than any other company. The Health Care Marketplace is an all-new way for consumers to get health insurance. The site easily allows consumers to compare and shop for an affordable plan, read about the latest health care changes, calculate their tax credit, get insurance quotes and more. HealthcareMarketplace.com is a privately owned and operated website. For additional information, visit healthcaremarketplace.com.